Juniors Printed Bottle Cover | Multicolour | Especially designed for slim neck feeding bottle. Feed your little one warm milk with ease by covering the bottle with this convenient and stylish cover, which features an all-over heart detail print. 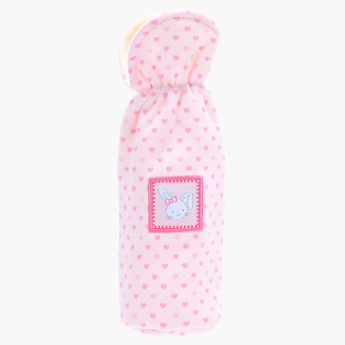 Crafted from a soft fabric, this bottle cover makes it comfortable for you to hold the feeding bottle. Feature 1 : Especially designed for slim neck feeding bottle.